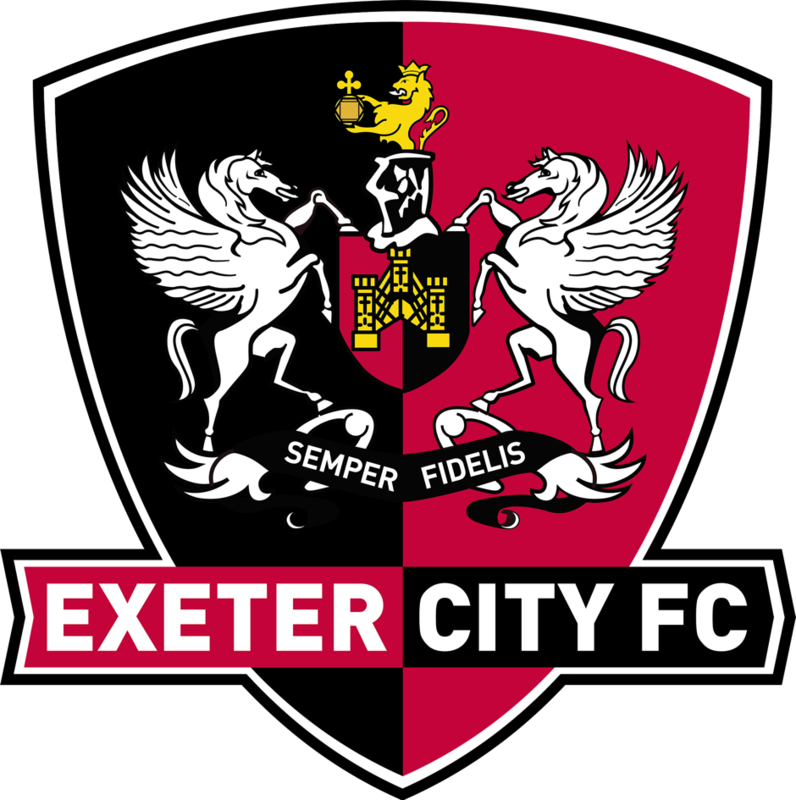 Exeter City came away from League Two leaders Accrington Stanley with a credible point. The Grecians showed great defensive resolve and good play going forward to hold a Stanley side – who have won 15 out of their last 17 matches – to a 1-1 draw in front of a packed crowd at the Wham Stadium who had turned out to cheer their side onto promotion to League One. City manager Paul Tisdale made two changes from the side that beat Cambridge United last time out, with Matt Jay and Kane Wilson coming in for the injured Craig Woodman and Robbie Simpson. Stanley, looking for a victory that would guarantee their promotion to League One, started the match well forcing a succession of early corners and threatening the City goal when Scott Brown 25-yard shot was blocked by Hiram Boateng. Stockley also had to be in the right place to boot a Sean McConville shot off the line after 15 minutes before City nudged themselves in front. It was the impressive Matt Jay who turned sharply in the box and hit a stinging shot towards the near post that Aaron Chapman could only parry and Stockley was in the right place to fire the rebound into the roof of the net after 21 minutes. City could have doubled their lead four minutes later when Jay hit a dipping volley that Chapman had to tip over his crossbar. However, Stanley, after a nervy 10-minute spell, began to grow into the match once more and were deservedly level when Kayden Jackson hit a swerving shot from the edge of the area that flew past Christy Pym.